Good client communication is so important to the long term success of any business. In the early stages of a client relationship, good and effective communication is key to ensuring your product and service will meet clients needs and expectations. As the relationship develops regular communication with your customer base, allows you to grow and develop to fulfil those requirements and needs. 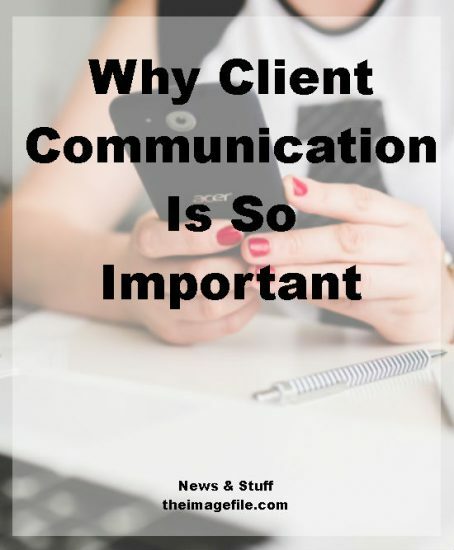 So why is client communication so important for your business? When attempting to understand what a client truly wants clear communication is key. Obtaining clear communication involves asking key questions to gain a better understanding of a client’s position, situation, wants, needs, likes and dislikes. This also gives you the opportunity to provide the customer with a clear understanding of what you intend to do as well as the time frame you are working to – so you are both on the same page, no nasty surprises. Communication is a valuable reinforcement tool. By staying in touch with a client after providing a service or selling a product you can reinforce the benefits of the product or service and how you can potentially further meet your customers needs in the future. For example let’s say you’ve done a newborn session with a family, why not offer them a 3 month milestone session later on? Or recommend certain products that you think would work well with their images? Also by being in regular contact with your customer base you can quickly and personally address any questions, confusion or issues that your clients may have. This process gives you the opportunity to lay the foundation blocks for a long term customer relationship that is built on trust and reliability and can lead to repeat sales. Customer requirements tend to change over time so being able to communicate effectively is paramount. For example if you are a corporate photographer, your client might be releasing a brand new product or service and therefore requires a different type of service from you. Equally, if there are changes in your business, then strong customer relationships is key. A customer is far more likely to be happy with a change in your business if they are already emotionally invested in you. Failure to communicate with customers runs the risk of them forgetting about you and no longer caring about your business. If you have poor communication then when the time comes for the customer to use your services they might go to your competition. Even if your customer doesn’t need your service right now a simple newsletter, email or call can reassure them, build your relationship and keep you at the forefront of their mind. Why do you find client communication so important? What do you do to establish client relationships?